The Middle School musical was a huge hit over the weekend! The young actors did an amazing job singing, dancing and performing scenes from the Disney hit movie, and audiences were thoroughly entertained. Congratulations to the hard-working cast and crew and many thanks to director Katy Capozzoli and all the parents who helped make the show such a success. 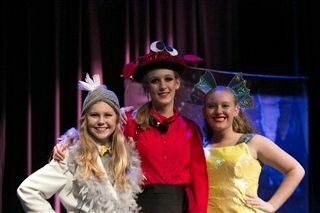 For more Little Mermaid, Jr. photos, visit Pacific Ridge's Facebook page.